Voicelinks is an innovative teaching resource for music in early years and primary education. It embraces singing as a means of accessing all areas of the curriculum, to develop the whole child, with natural progression and links between age groups and subject matter. At the heart of the book are 24 carefully written songs covering popular school topics. 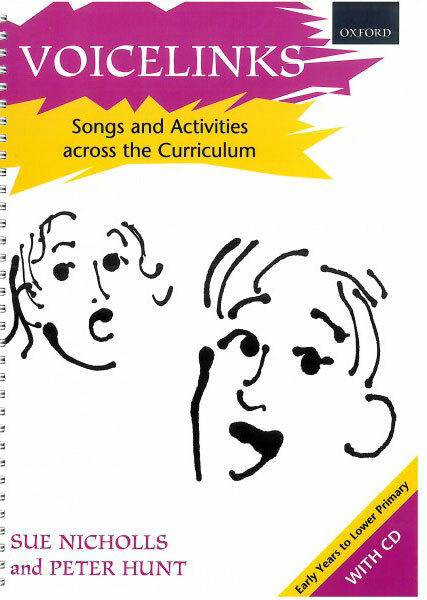 Each song is tailored to Early Years (3-5), Key Stage 1: Year 1 (5-6), or Key Stage 1: Year 2 (6-7), and comes equipped with a host of activity ideas designed for classroom use. Suitable for specialists and non-specialists alike, Voicelinks guarantees successful learning outcomes across the curriculum.